Then, day by day, one or more of the forty some odd blooms opened. They are such a beautiful color, they remind me of those Orange Cream sickles I use to get from the Ice Cream truck when I was a kid! A Mother's Day gift from my daughter, we discovered it's an indoor plant and although she was disappointed, I wasn't. I put it on the deck once the temps did not go below 60 and apparently it loves it! A soft shade of tangerine woven with creme, it will be brought in to join the rest of my houseplants when temperatures fall. This week, all I can say is thank goodness for AC and our screen house! We all know that life isn't always peaches and cream though. Back at the garage, the Pres' truck went in this morning for another freon boost. This time they put dye in it to see where it is leaking from before they can give us a prognosis. Darn, it has been hot...really really hot and humid! 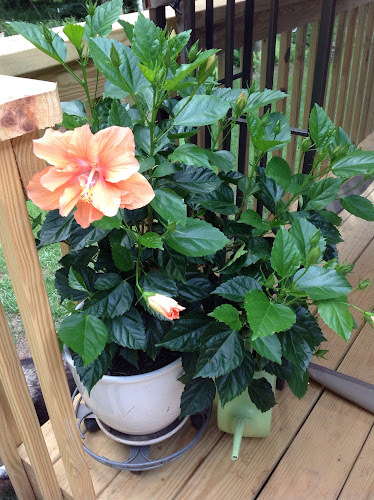 Love your Hibiscus.. wow 40 blooms, it sure likes that place JP. I dont have them in my garden..but my son has a few.. they put plastic around them to protect them during the colder months. 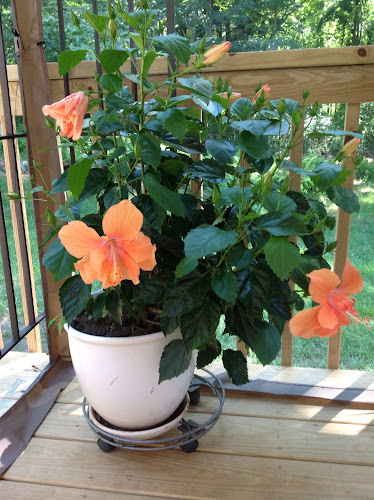 I used to grow hibiscus in Arizona. They LOVED the heat and would bloom like awesome! Should get a few in the ground here too. That color is so wonderful! 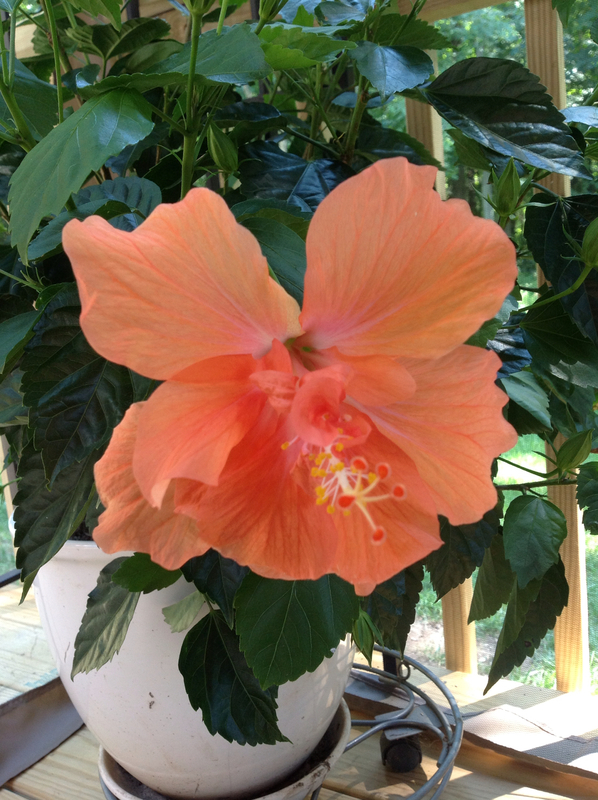 Gorgeous plant! Love the color!